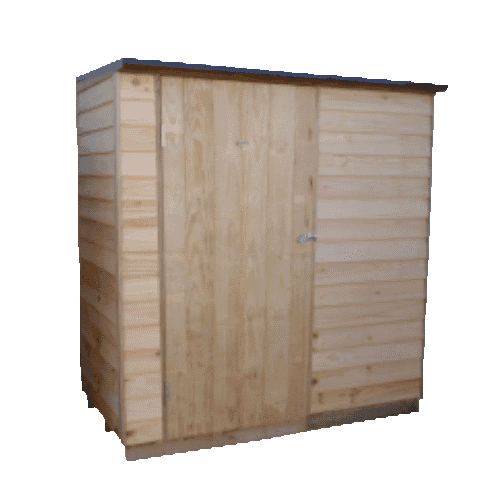 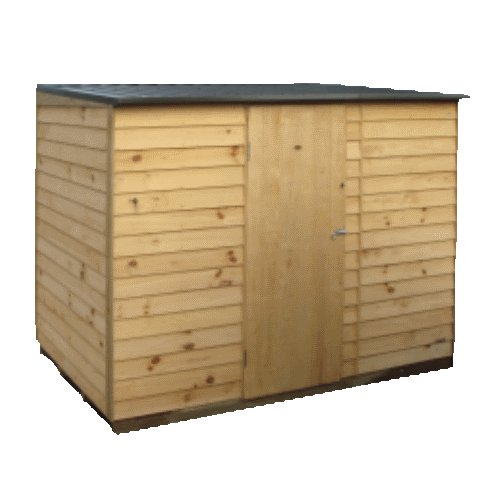 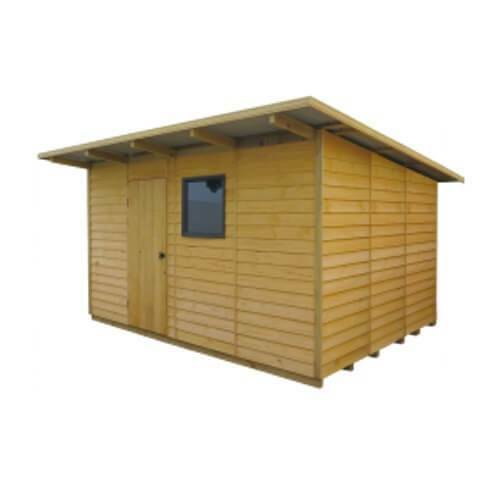 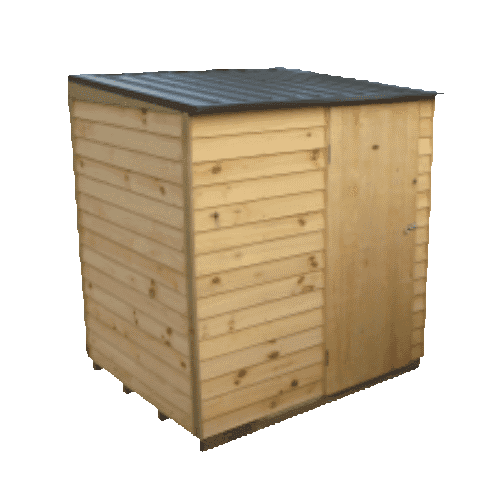 Pinehaven garden sheds are a top quality, attractive alternative to steel sheds. 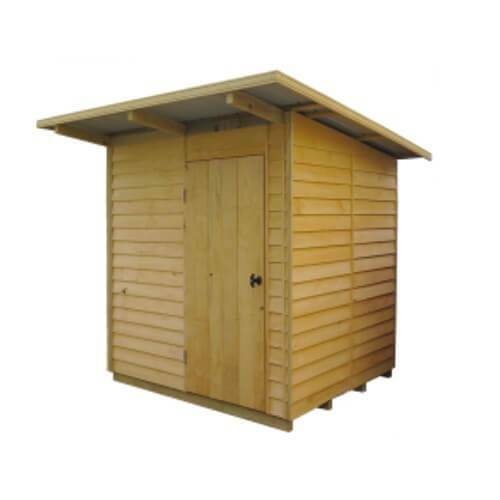 Locally made from a renewable resource, these are a great addition to any back yard. 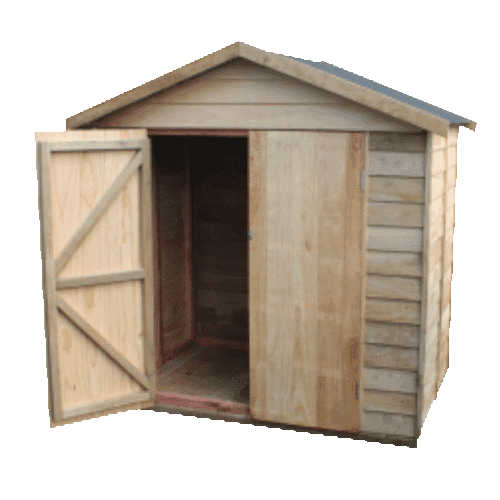 Pinehaven timber sheds are quick and easy to assemble, and the competed shed can be stained, painted or left to weather. 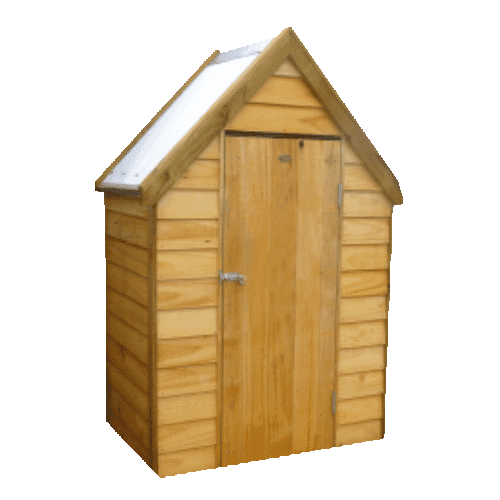 These sheds are made to order so do take a little longer to manufacture and deliver (up to 4 weeks for large models) – but the wait is worth it. 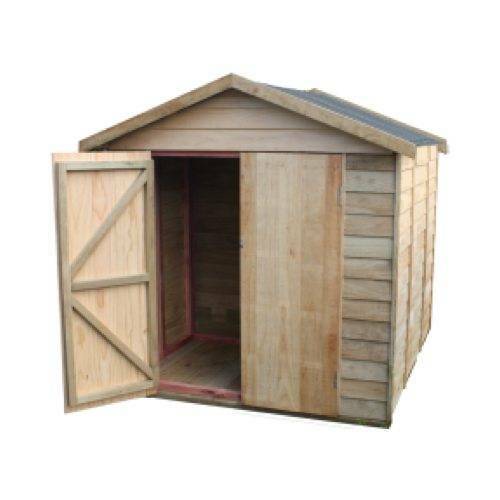 They are quick and easy to assemble. 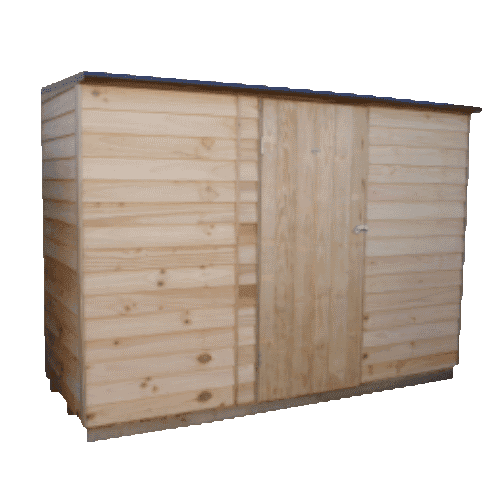 The wall panels come pre-clad with pine weatherboards. 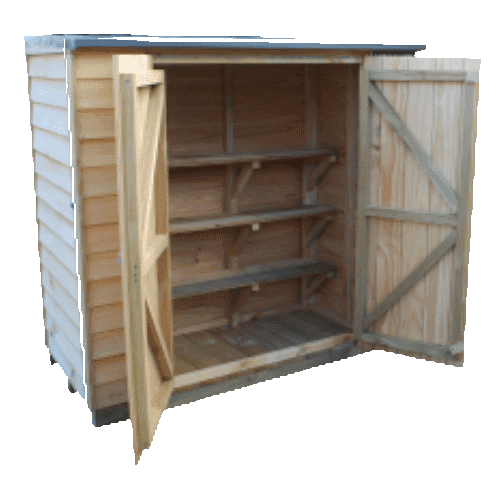 Simply screw each panel together to assemble your shed. 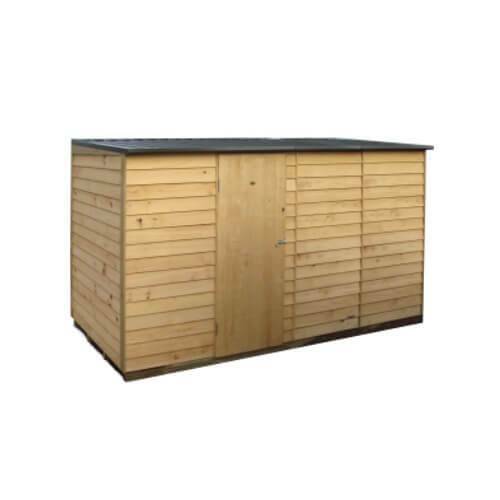 A standard wall panel on most models is 1800mm high x 900mm wide. 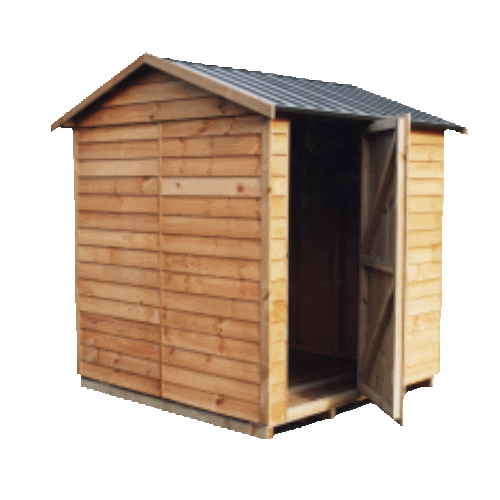 All timber used for these sheds is pinus radiata and treated to the appropriate grade relative to the use within the building. 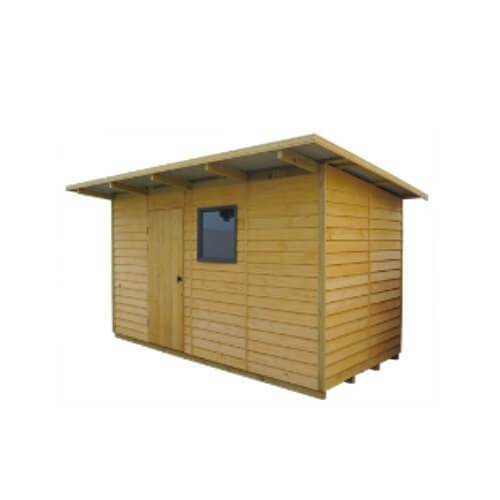 If you require alternative cladding options such as Cedar please contact us for a quote. 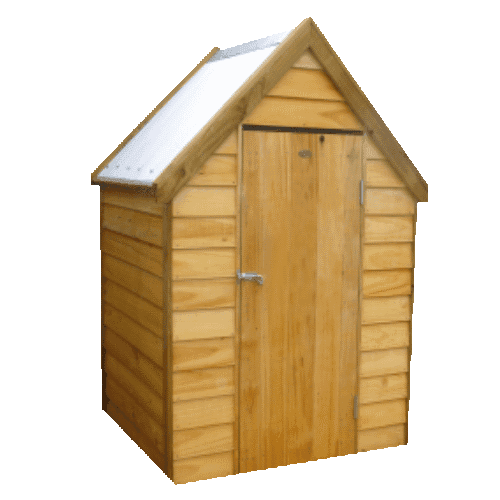 There are several interesting options available to customise your shed. 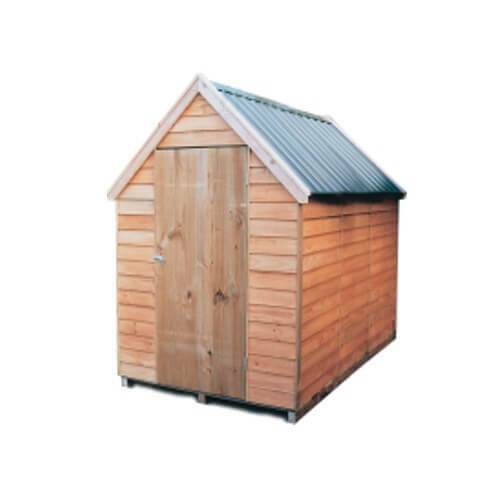 On gable and lean-to sheds you can increase the wall height. 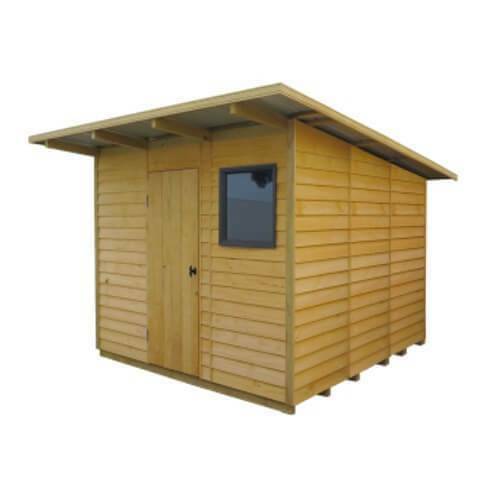 Except for chalets & studios, all wall panels have a standard height of 1.8m. 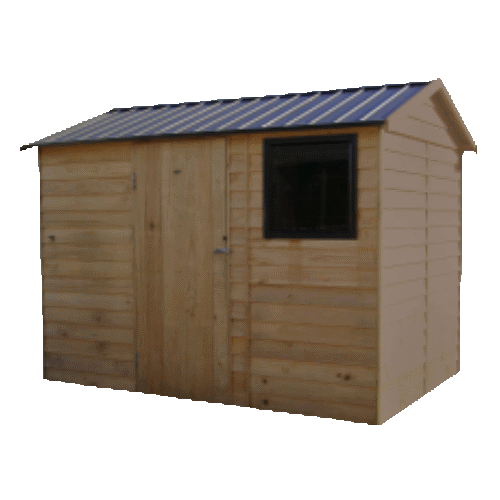 Panel height can be increased to 2.0m or higher if needed. 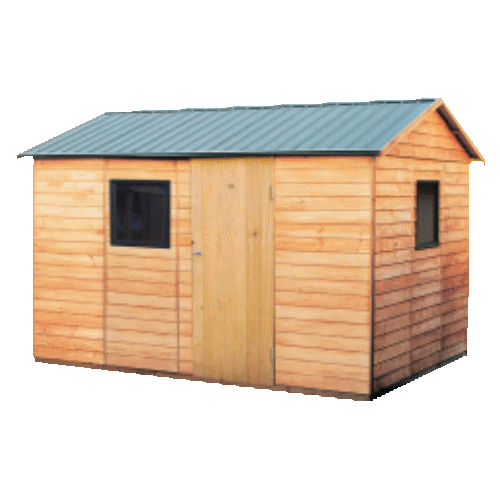 There is a decking kit available as well as an optional verandah kit to fit most models. 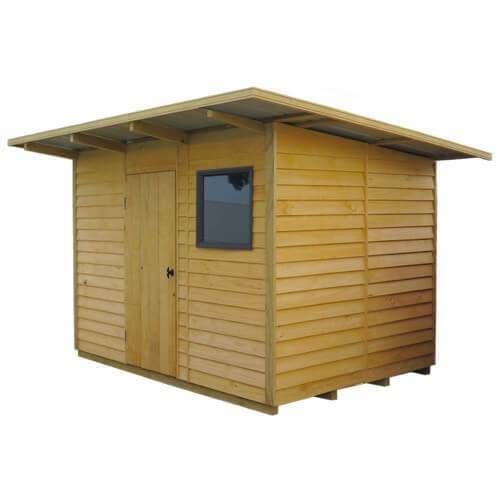 You can choose either a gable end or lean-to verandah. 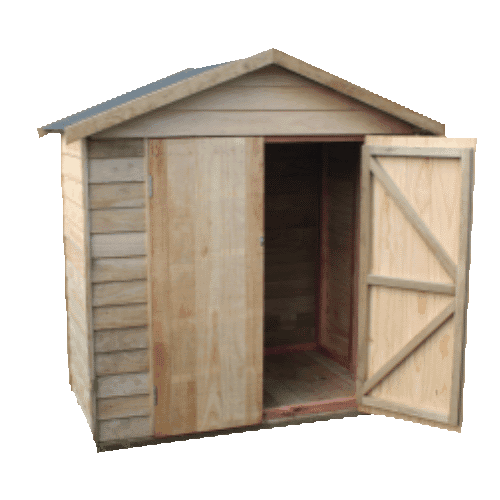 A verandah adds an extra 900mm to the width or depth of the total shed size. 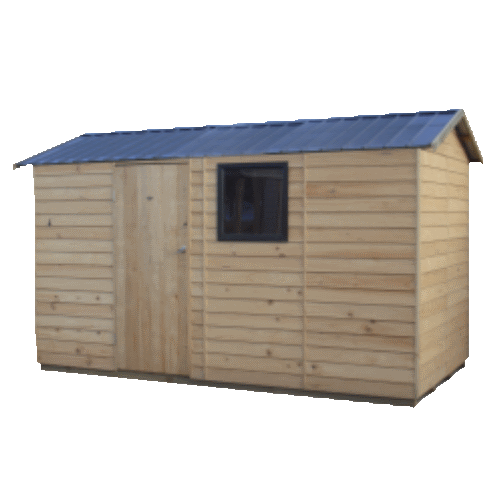 You will need to increase the stud height to 2.0m to accommodate a lean-to verandah. 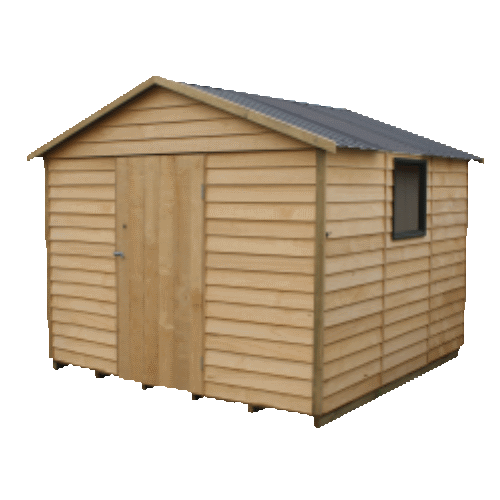 If you are looking to customise your shed we are happy to provide you with a quote based on your requirements. 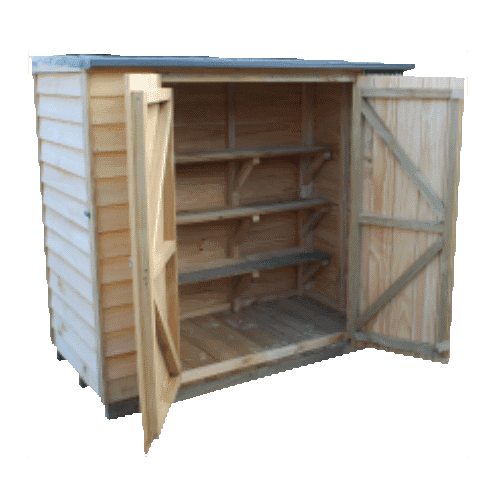 These are a very popular storage shed for lifestyle blocks. 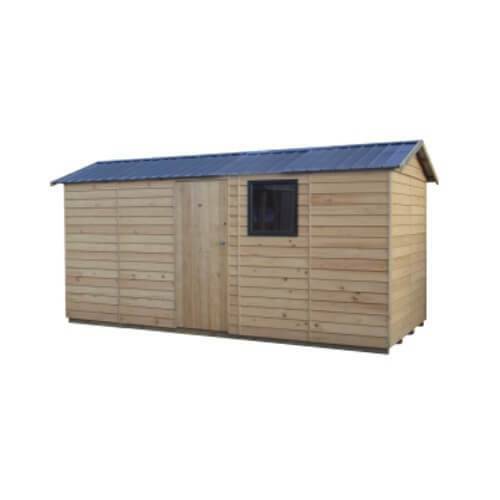 Enjoy the great looks of natural timber with our durable and hard-wearing Pinehaven range of timber garden sheds.